Ayahuasca is a powerful hallucinogen that has been utilized as plant medicine for thousands of years by Central & South American natives. Recently it has garnered attention from “Westerners” that are seeking the brew’s spiritual, mental, and physical healing properties. There is a continual influx of travelers making their way to Costa Rica & South America looking for enlightenment and recovery from many ailments. 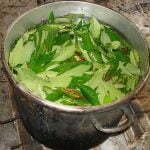 Ayahuasca ceremonies are often experienced through the help of expert healers, including curanderos, shamans, ayahuasqueros, and maestros, all of which have been trained by the ancient knowledge that has been passed down through traditions in order to facilitate the right atmosphere for healing. One of the foremost experts on the scientific research of ayahuasca is Dennis McKenna – legendary psychedelic research expert Terrence McKenna’s younger brother. Dennis has produced his own unique research on the ayahuasca blend. Dennis produced a research article in 2005 regarding ayahuasca, he published a paper in the?Journal of Psychoactive Drugscalled Ayahuasca and Human Destiny. This article delved into the the possibilities of healing that ayahuasca may produce. In the article Dennis suggested that Ayahuasca is the conduit to a wealth of ancient genetic and evolutionary wisdom that has long existed within the cosmologies of the native peoples of the Amazon who have kept the knowledge safe for thousands and thousands of years. He also suggests that man’s future is reliant upon nature and that we must learn from it and that is a lesson that we might obtain from the sacred brew of ayahuasca. What Can We Learn From Ayahuasca? We may be able to learn from the rich shaman brew about ourselves and nature because ayahuasca itself is a part of nature and the psychoactive chemical derived from the Amazonian concoction actually exists in the human chemistry makeup in small doses. In an interview with the Guardian, McKenna talks about the ability of ayahuasca to help the environmental conservation movement. In the interview, he explains that it is his belief that many people come away from the ayahuasca experience with a renewed appreciation for man’s connection with nature and that he thinks that ayahuasca is a primary driving force of change in the global environmental consciousness. He explains that man has come to the mindset that they own nature and exploit it for their personal benefit, destroying it in the process. This has caused destabilization in the global mechanisms that allow the biosphere to maintain habitability. Man needs plants in order to sustain life and McKenna believes that ayahuasca helps remind people of this fact. He goes on to explain that a global shift in consciousness needs to occur in order to rectify the imbalance we currently have with nature. He believes that ayahuasca is the ambassador from the community of species. Is Manufacturing Ayahuasca for Tourism a Sustainable Practice? The recent demand by the Western influx has caused a rise in the need for the plants that are necessary for the shaman brew. 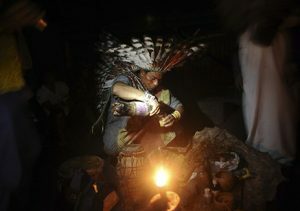 Up until recently, these resources were only used by small shaman and religious groups. This has created concern about over-harvesting the plants in order to accommodate the booming ayahuasca trend. As this is a concern that is spreading, it is the responsibility of the ayahuasca facilitators, retreat centers, and users to keep this practice from the possibility of over-harvesting. When asked this question, McKenna responded by stating that the spread of ayahuasca has both its pros and cons. While it is helping a lot of people, it is causing negative impacts on some of the indigenous communities. Although it is helping to keep the tradition, it is altering the process in order to cater to the new travelers. Dennis believes that there should be a paradigm shift that takes the best of the native traditions along with more modern accommodations.